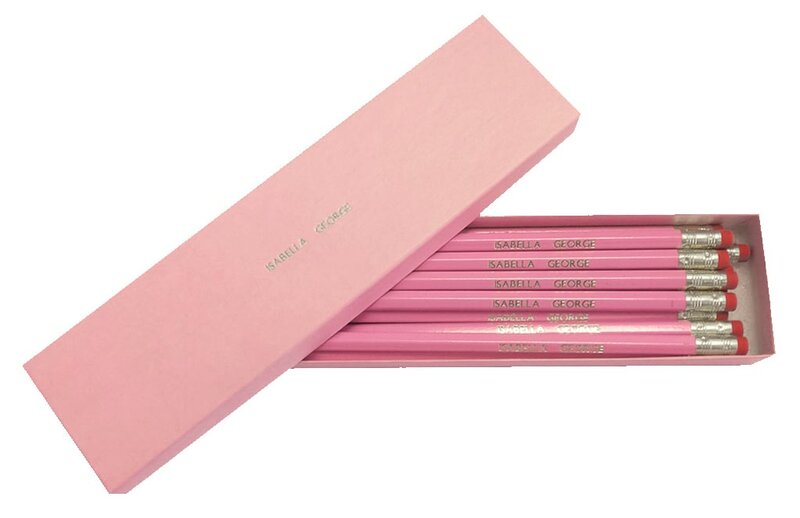 Presented in a matching box these 12 HB pencils are expertly embossed with any name up to 20 characters. Choose their favourite colour from a selection of red, blue, pink and aqua. Each pencil is finished with a silver cuff and topped with an oh-so-important eraser (just in case).